Composed by Antonin Dvorak. Arranged by Doug Clyde. 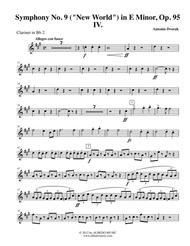 For Clarinet. Romantic Period. Individual Part. Published by ALBEDO MUSIC (S0.36009).